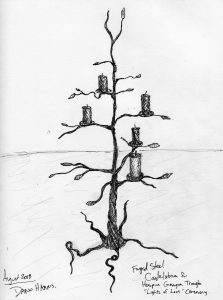 This is a sketch of a tree-like candelabrum that I will be creating for Hospice Georgian Triangle. 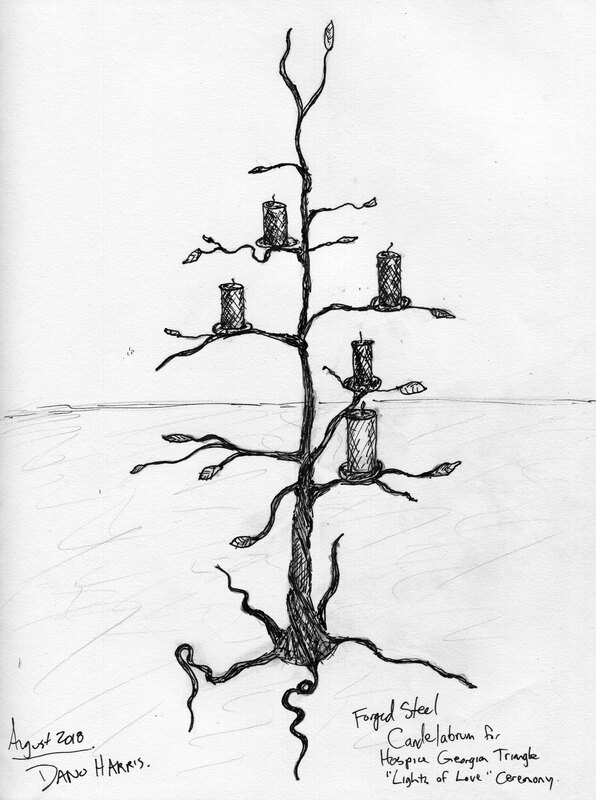 It will hold five candles for their annual “lights of love” ceremony. It will be forged and welded steel and about 60″ tall.